After food, beer, and chocolate (see Hidden Gems 1), what more do you need? Well, Brussels has a lot more to offer, and a lot more than I can summarize here. These are just a few of the delightful spots in the city you might miss, if you just rush through the typical tourist spots. 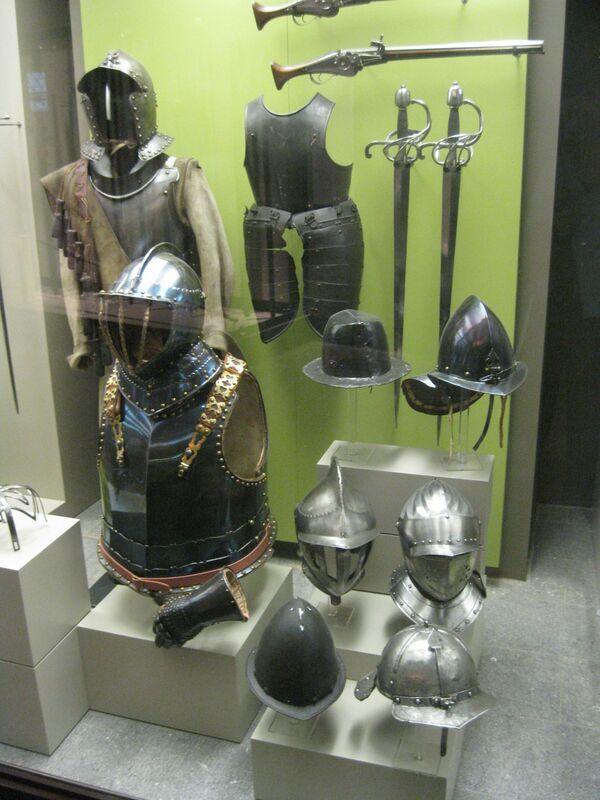 Brussels is filled with all kinds of museums. Of course, we went to the Royal Museums of Fine Arts to see the Flemish Masters, though unfortunately, this year my favorite part, the Museum of Modern Art was closed for renovations, so only a limited collection was on view. We also visited the Antoine Wiertz and Constantin Meunier museums, and the newest of the Royal Museums dedicated to René Magritte. 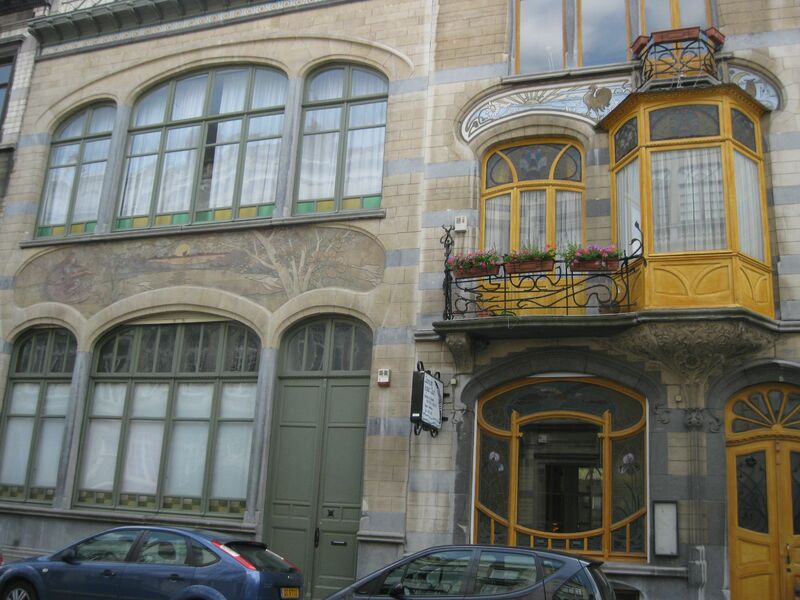 Also in Elsene (Ixelles), where we were staying, is the Victor Horta Museum dedicated to one of the founders of Art Nouveau. But of all the museums we went to, one of the biggest surprises was the Military History Museum in the Park du Cinquantenaire. Much of it held the old moldy uniforms and sabers one might imagine, but the medieval armor exhibit was quite extensive and informative. And for fans of aviation, there is a whole wing with airplanes from the First and Second World Wars on display. Well worth the price of admission (which is free), and a good place to go on a rainy day. While you’re in the neighborhood, you might stop over at the auto museum or at the Royal Museum of Art and History. Though not as extensive as the Louvre, the collections here are quite impressive and well laid out. Don’t go looking for fine art (at least not from Belgium), but you will find everything from ancient Babylonian artifacts (some are castings of 19th Century finds that are housed elsewhere, but were made at the time for Belgian scholars to study and translate; others are original artifacts), Greek and Roman statues, pottery, etc. (including an impressive audio/visual model of the Roman forum area), Egyptian tombs, statues, and complete mummies, Native American and Pacific Island artifacts, archeological finds from prehistoric Belgium, 19th Century astrological instruments, and the list goes on and on. We spent all morning in the museum and could barely tear ourselves away for lunch at 2:00 p.m. There was still much more to be seen. 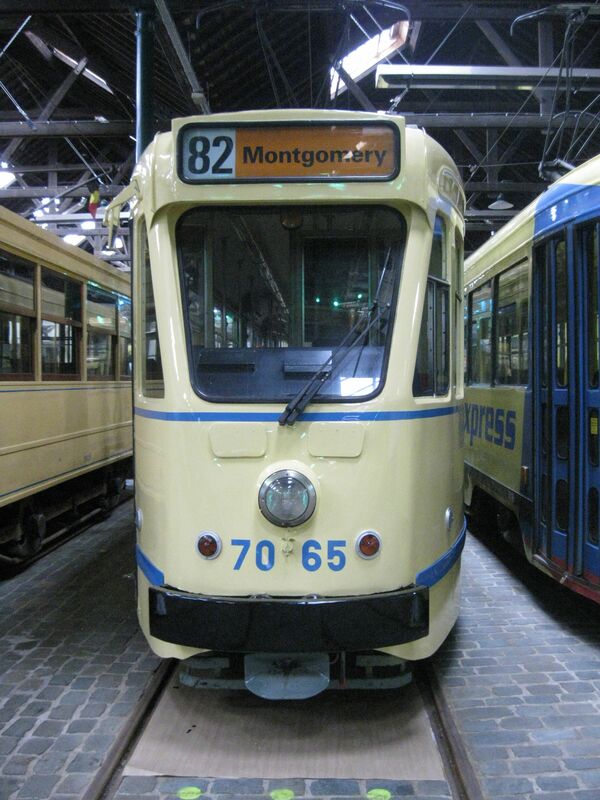 Another surprise was the Brussels Tram Museum, that Kim and Aidan went to see. We love riding trams in the city (and metro and busses), so we knew Aidan would love this museum, but the extent and pristine condition of the collection was amazing. And Kim and Aidan were able to take a ride on a historic tram through the beautiful park Woluwé. Aidan even got to steer (on a tram that wasn’t moving, of course). With one of the oldest tram systems in the world, Brussels is a fitting place to see some of the history of this delightful mode of transportation. Tourists can even take guided tram tours of the city, and trams can be rented for parties and special events. Needless to say, we didn’t have that experience, but it sounds unique. Brussels is one of the greenest of capital cities with thousands of acres of parks. You don’t have to go too far to find a city square with trees, grass, flowers (the roses were gorgeous in June while we were there), and a few benches. 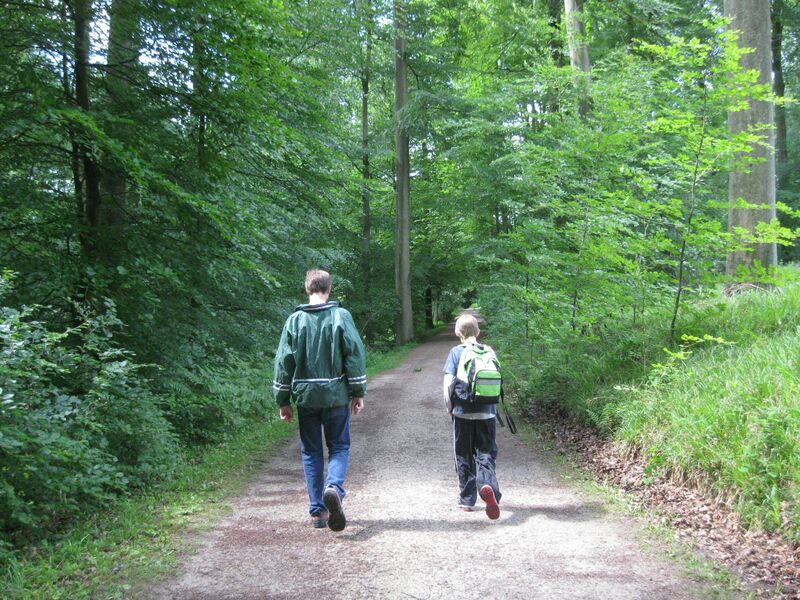 We loved the Petite Sablon, Park Leopold, Cinquantenaire Park, among many others, but our favorite spot in all of Brussels may well have been the Forest of Soignies. It was a good hike or an easy tram ride from Place Flagey near our apartments, and it is a vast forest surrounded by the city. I only got to go there once, but Kim and Aidan went to several different parts of the forest, where there are walking paths, semi-wild animals (not at all afraid of humans), ponds, birds, trees (obviously), and best of all quiet. At least in the area near the old hippodrome, we were able to get far enough away from the streets and highways that you could completely forget you were in a city. Even if you can’t make it down to the forest, there are often little walled-in parks and gardens like the Jardin Jean-Félix Hap that we discovered not far from Place Jourdan. Consult your map for a patch of green or keep your eyes open for a gate in a wall that might just lead to a quiet public space. As I mentioned above, we visited the Victor Horta Museum and learned more about the Art Nouveau architects of Brussels. One of the joys of living in the city was walking around and discovering beautiful buildings. Near the museum is a walking tour that can get you started. Keep your eyes open for the gorgeous ironwork and fascinating painted or mosaic façades, and you will find more examples of this style as you walk around the city, especially in the European District and other neighborhoods a little beyond the city center. While you’re walking, you’ll also notice some of the many comic book murals that are scattered throughout the city. A trip to the Belgian Comic Strip Center might be worth your while. To be honest, we didn’t make it this trip. Instead, we took a short train ride down to Louvain-la-Neuve to visit the Hergé Museum and learn more about the creator of Tintin. And if you wander down the right street, you just might encounter this competitor to the Manneke Pis, the Zinneke statue. 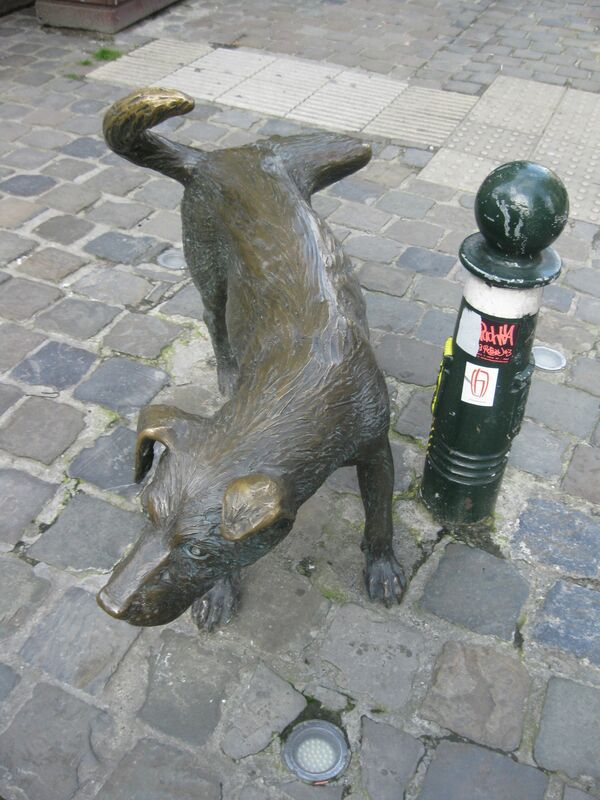 The mongrel dogs that roamed by the Senne river that once flowed through the center of Brussels (until it was covered over, though it still flows beneath the city) were given this name, and the dog has become a mascot for Brussels multiculturalism. Every other year (on even numbered years) there is a Zinneke Parade, celebrating Brussels’ multi-lingual and multicultural communities. If you happen to be in Brussels in mid-May, you might even run into it. If not, see if you can find this slightly disrespectful dog making his mark on the city.